For the year so far, AT&T (NYSE:T) stock has had a decent performance, up over 8%. But of course, when you look at the past several years, things have been, well, awful. Since the summer of 2016, the AT&T stock price has gone from $43 to $32. It’s true that there have been good reasons for this. First of all, the mobile industry has reached saturation and the market is highly competitive, with tough rivals like T-Mobile (NASDAQ:TMUS) and Verizon Communications (NYSE:VZ). Another issue has been the DirecTV satellite business, which continues to feel the pressures from cord cutting. In the latest quarter, there was a sequential loss of 403,000 subscribers. The DirecTV Now streaming unit has also been weak. It saw a 267,000 decline during the same period. And yes, the debt load is another nagging issue for AT&T stock. It’s at a staggering $167 billion. All kind of a scary, huh? Of course. But then again, much of the bad news has been baked into the valuation. More importantly, the company has been working hard on making big-time changes, which could be a long-term positive for the stock price. AT&T’s $80 billion acquisition of Time Warner was expensive and bold. But it does look like a good strategic decision, which should help perk up long-term growth. The Time Warner business is now called WarnerMedia and it is a powerhouse. As seen in the latest quarter, there continues to be success with churning out hits, such as with Aquaman and A Star is Born. And finally, WarnerMedia plans to launch its own streaming service by the end of the year. It certainly helps that AT&T has over 370 million direct-to-consumer relationships across mobile, pay-TV, web properties and broadband. What’s more, as seen with the announcement of Disney’s (NYSE:DIS) streaming service, AT&T’s own version, which is expected to launch at the end of this year, could also be a nice catalyst for the stock price. Something else to note: Through its acquisition of Time Warner, AT&T inherited a 9.5% stake in Hulu, which is a top streaming service with over 25 million subscribers. Yet this week the company sold this position back to Hulu for $1.43 billion. All in all, this was a smart move. AT&T plans to use the cash to help pay down its debt. Also the minority position would not provide it with much leverage or exposure anyway. In other words, the upcoming WarnerMedia streaming service will likely be much more important to focus on. AT&T stock is definitely trading at a low valuation, with the forward price-to-earnings ratio at only 9X. The dividend yield is also attractive: 6.34%. Even though the core mobile business has not been growing much, it is still a source of strong recurring cash flows. Last year they came to $43.6 billion. And with the merger of Time Warner, there should be a boost as there will be lots of opportunities to cut back on the cost structure. In the coming years, the rollout of 5G across the US will have a major impact on the tech industry. And AT&T will be poised to benefit. Not only does it have the scale and experience to build a sophisticated network but the company has the advantage of deploying FirstNet, which is a system for first responders (its built with 5G capable radios on cell towers). Estimates are that 5G will supercharge speeds up to 100 times faster than 4G. As a result, there is likely to be an explosion of innovation – which will likely go beyond smartphones. For example, 5G will probably be critical for IoT (Internet-of-Things), gaming, education, autonomous cars and so on. 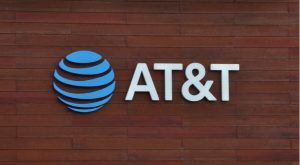 In other words, the technology is likely to open up more monetization opportunities for AT&T. Article printed from InvestorPlace Media, https://investorplace.com/2019/04/3-reasons-bullish-on-att-stock/.